If you want to log into your personal computer from another location, RDS-Knight is your sword and shield for protecting your server environment against unauthenticated attackers. Our product is designed to secure remote desktop, monitor login failures, block prohibited or suspicious IPs and prevent unauthorized actions. 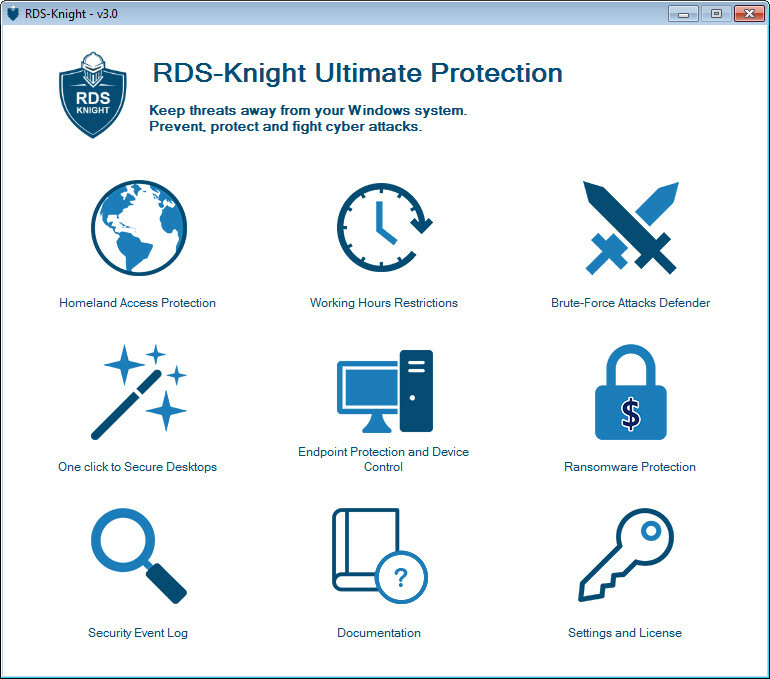 Checking your computer’s remote access options, RDS-Knight provides you with excellent control over the connected users with granted access. One Click to Secure Desktop: provides highly secured user’s environment (per Users or per Groups).